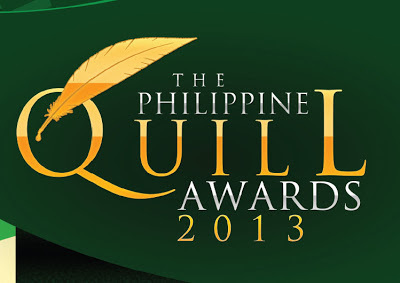 Philippine Quill Awards 2013 is now in search for the country’s best organizations, agencies and schools in the field of business communication, plus the Company of the Year, the Agency of the Year, and the School of the Year. The International Association of Business Communicators (IABC) Philippines is now accepting entries to the Philippine Quill Awards and Philippine Student Quill Awards 2013, the most prestigious and comprehensive awards that recognize outstanding communication works by professionals and undergraduate students nationwide. Starting this year, the 30th anniversary of IABC Philippines, the Philippine Quill Awards has become bigger, brighter, and sharper as it expands to 42 categories covering 4 divisions, namely (1) communication management, (2) communication research, (3) communication skills, and (4) communication education and training. There will be 2 new divisions: communication research and education, and communication training covering both internal and external training. Beyond audiences, stakeholders will be segmented in the entry’s work plan. In every division, a Top Award will be conferred on the entry with the highest score earned from the distinguished board of judges. IABC Philippines president and IABC North Asia regional director RitziVillarico-Ronquillo urged interested participants – from the country’s top corporations, agencies, and government institutions to small- to medium-sized companies, non-government organizations, and schools - to prepare as early as now for the most comprehensive and festive Quill Awards ever. “It’s going to be a festival of bright ideas, groundbreaking concepts, marvelous executions and resounding results. This is where your communication work can truly shine and get the recognition it deserves. Whether you are a professional or a student, this is your chance to be heard, be applauded by your peers, and be side by side with the very best in the competitive world of business communication,” she said. Adding excitement to last year’s Quill was the launch of its pioneering special awards. Smart Communications was declared the Company of the Year for bagging the most number of excellence awards, followed by the Manila Electric Company (1st runner-up) and ABS-CBN Corporation (2nd runner-up). The Agency of the Year was conferred on Ogilvy Public Relations Manila, while the School of the Year went to Colegio San Juan de Letran. Entries to the Quill, which cover various disciplines in communication such as public relations, advertising, marketing, events, research, training, publications, design, and multimedia, will be judged based on technical merit, creativity, innovation, adherence to the company’s goals, delivery of measurable results, and overall success. The Philippine Quill is also deemed as the best preparation for the Gold Quill Awards, which is organized annually by the San Francisco-based IABC, a professional network of 15,000 business communication professionals in over 80 countries. Members are further linked to over 160,000 professionals and academics through the Switzerland-based Global Alliance for Public Relations and Communication Management. The IABC Philippines is the first chapter of the worldwide IABC outside the United States of America. In addition to its award programs, IABC Philippines upholds excellence in business communication through its awards programs and continued learning like master classes and training that equip its member-professionals with trends and global communication skills and strategies. Apart from the Philippine Quill and Student Quill, it also confers the CEO Excel Awards, which honor brilliant communication work by business leaders. For the award mechanics, entry form, and information on the Philippine Quill and Philippine Student Quill Awards, please contact the International Association for Business Communicators Philippines (IABC) Secretariat at (632) 756-0424 or 756-0441.